Should States Get Rid Of Cash Bail Systems? Everyone has heard the term “bail,” but do you really know what it means? In most jurisdictions in the country, when you’re arrested and charged with a crime, the court has the option to set bail. This is a specific amount of money you pay to the court to obtain your release from jail while you await the next step in your case — usually a court proceeding, such as a trial. Courts set the bail amount depending on a variety of factors, including the seriousness of the alleged crime, the person’s criminal past, how long they’ve resided in the community, and any history of drug or alcohol-related convictions. Basically, the court tries to assess if the person is likely to skip town and attempt to avoid prosecution. If the criminal charge is something non-violent, such as passing bad checks, bail is likely to be set quite low. But if the charge is particularly egregious, such as murder, bail will probably be set in the tens of thousands or higher. In some cases, bail can reach into the millions. 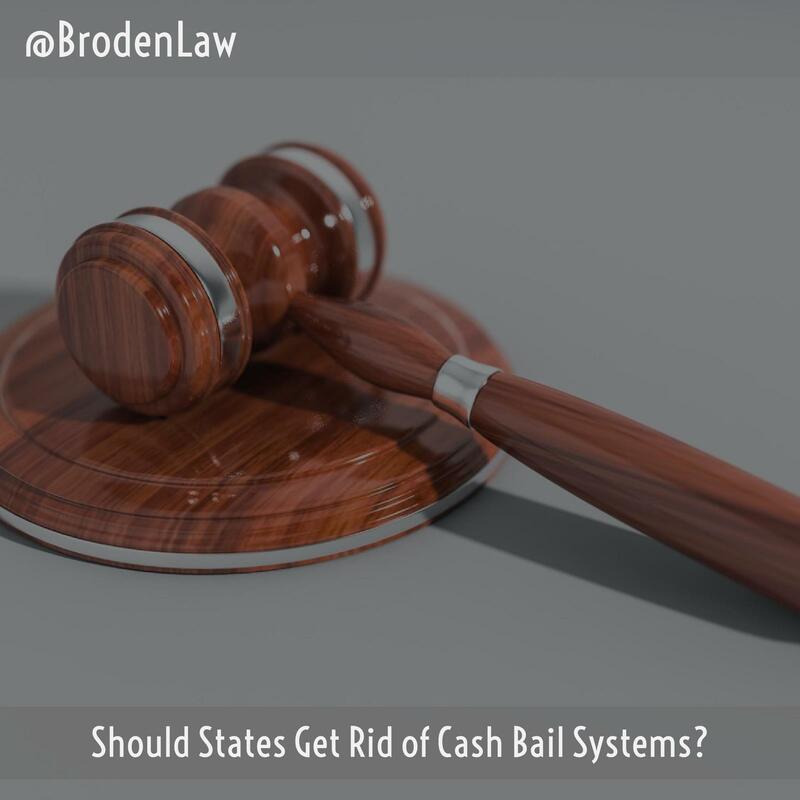 In some cases, the court has the option to refuse to set bail and to hold the person in jail pending trial. Because most people don’t have access to large sums of cash, bail bondsmen offer short-term loans to individuals who have been charged with crimes. The person pays a nonrefundable fee — between 10 and 20 percent — of the total bail, and the bail bond agent puts up the rest of the money to the court in the event the person fails to appear in court. As PBS reports, the cash bail system is the norm in most states, but it is not without its critics. The problem, criminal justice advocates claim, is that cash bail often traps people in a cycle of poverty and crime. In some cases, people charged with non-violent offenses can’t even afford to use the services of a bail bondsman. Without the ability to make bail, they lose their jobs. Even if they’re later found innocent of the crime they were charged with, they may eventually turn to theft or another type of crime just to make ends meet. The problem has become so widespread that some jurisdictions, such as New Jersey, have eliminated cash bail altogether. According to a 2013 study in the Garden State, 40 percent of people held in New Jersey jails were there only because they couldn’t afford bail. In most cases, minority inmates were the most likely to be unable to pay. The study also found that judges had a tendency to set bail higher for black and Latino defendants. If you’ve been charged with a crime in Texas, don’t leave your freedom to chance. Get in touch with a skilled Texas criminal defense lawyer today.